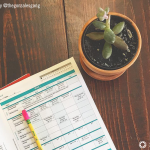 I read this article and wanted to share it with you: 10 Ways to Breathe Fresh Air into February Homeschool Doldrums https://blog.sonlight.com/february-homeschool-doldrums.html. If you've had the joy of using World History, 1 of 2 (HBL G), you know all about the doldrums. Milo, the beloved hero of The Phantom Tollbooth gets stuck there, where "nothing ever happens and nothing ever changes." 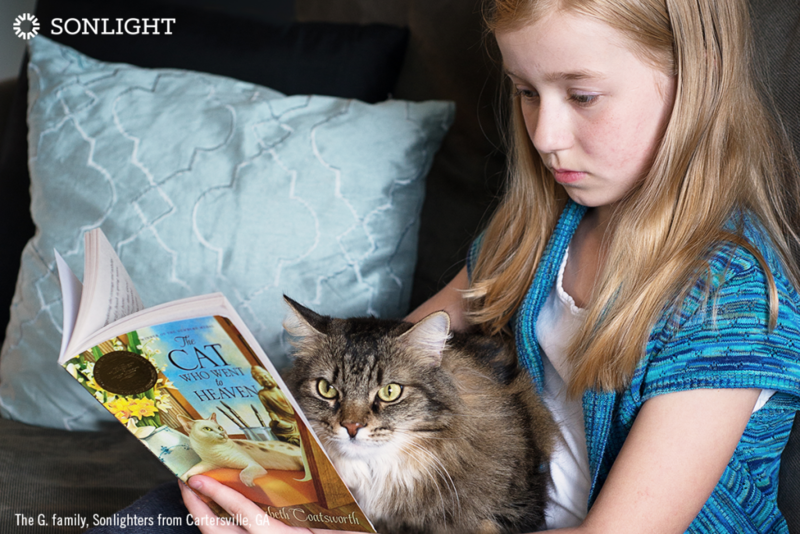 Does that ever feel like your homeschool—especially in winter and especially in February? Nothing is happening; nothing is changing. Perhaps you're in a mid-winter rut and you don't like it. Well, since your solution is bound to be different than Milo's, I have some encouragement for your February blahs. First of all, know that this is normal. It seems that homeschoolers everywhere know about the mid-winter doldrums. For a myriad of reasons, this season can feel like a daily slog. But if being caught in the doldrums at sea means there is no wind, no movement, then the way to get out of the homeschool doldrums is to change something up. 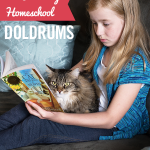 So don't sit in the doldrums; give some movement to your homeschool. Do any of these ideas inspire you? Do you ever put music on while you do school? It can really change the mood in a room, especially during February homeschool doldrums. Try a classical music station, Gregorian chant, pure Mozart, or even a relaxing nature soundscape. When it's time to clean or make dinner, try jamming to your favorite music from high school. It might really lift your mood, and your kids will love laughing at you as you sing out loud to the old school music you once thought was cool. Could you switch up anything to make the day more fun? Maybe start a Read-Aloud at breakfast, after your Bible reading. Or add an extra break for a family game in the middle of the day. Or re-evaluate your entire schedule if it's just not working for you. Have you always dreamed of introducing your children to art, music, computer coding, quilting, candy making, woodworking or anything else out of the ordinary? 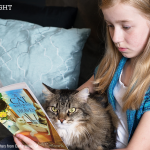 February homeschool doldrums could be the perfect time to start something new and fun, whether that involves new curriculum or the tools you already have at home. You could even cut back on other academic work for a week to do this if you want. 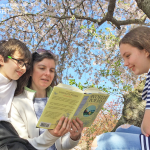 If family relationships are causing background stress in your homeschool, you have the freedom to take a week off and focus on building those relationships. Go on dates with your children. Or let them choose fun activities throughout the day and join them in whatever they want to do. Take time to get down on their level, listen, and learn more about how they see the world right now. As you might catch from the previous two points, it's really okay to take a break if you need to. Can you swing a short road trip to a nearby city for a few days? Is there somewhere nearby you've always wanted to go? You can teach all sorts of things as you plan for the trip—about budgeting, research, food prep, maps, and more. Seriously. Starting the day out with something different may help everyone feel more excited for the day. Find some smoothie recipes online, or take your kids to the store to pick out their favorite herbal tea to sip each morning as they start on their work (which will make them feel very grown up). Go to story time at the library and then stay afterward for a fun research project of your child's choice. Get outside whenever the weather could possibly allow it. Try new field trips. Take your schoolwork to a coffee shop. 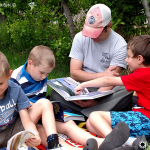 Schedule a homeschool play date with another homeschool family and break the day up between work and play. (And if you're already worn out from too many outings, then do the opposite and change things up by staying home more and giving everyone time to breathe.) Get creative and break up those February homeschool doldrums! Let's be honest. Sometimes homeschooling is made harder because the teacher's attitude is off. If you find yourself getting unusually frustrated or angry at your kids, if you're truly exhausted, or if you're constantly daydreaming of an easier life that involves beaches and spas and freedom ... take time to talk with your spouse and God about what's going on. Can you think of something that could help you? Would you like to start a new family tradition? Maybe you want to declare that every Friday night now means homemade pizza and a board game. Or maybe you'd like to sing a song together before dinner each night. Or start a volunteer project as a family. Just try to think of something that helps give shape to your days or weeks, and strengthens a sense of family. I also believe that anything worth doing for the Kingdom is bound to encounter resistance from the enemy sometimes. And trust me, raising and educating our children to be equipped to do whatever God calls them to do ... that counts as something worth doing for the Kingdom. Satan would love to discourage you and tell you all sorts of lies to keep you from thriving in whatever God has called you to. So our first defense should be to pray, ask for God's help and remind ourselves of truth.